Snow! There was snow! Only a little snow but it counts. I was so excited for the snow but, I'll admit, a little disappointed it didn't result in snow days... Oh well, you can't have everything, right? At least I got to see the white stuff this year. Let's see... What else happened this week? The little dude was also off school for a few days so between him being off school for three days and the snow it's been a very quick and strange week but really uneventful. The only thing I did that wasn't day-to-day stuff was go to a friends 50th birthday party on Saturday. It was a black-tie fundraiser dinner for one of the local schools and I had so much fun dressing up and giggling away over dinner and dancing. We're such an eclectic bunch, all of us in different fields of work, different ages, coming from different places but we clicked as a little tribe and I love those ladies. The menfolk were with us too so it was amusing seeing them interact seeing as they each know the ladies but don't cross paths with each other over much. Plus, it was a child-free evening for us all. = Win! I read stuff! I actually started and read stuff all in the same week! Some of these books were in the same day... Actually, all but Emerald Green were started and finished in the same day. That hasn't happened in 6 weeks or so! Next week, I may actually finish some of those half-finished books from weeks gone by and continue to be on a roll. As I said, I think I got my reading mojo back and binge read The Ruby Red Trilogy and thoroughly enjoyed it! The only thing that let it down a little was the dialogue... The turn of phrase was really weird and the language really formal at times which I assume is a result of the translation more than anything else. And I guess the romance between the main characters was a little too quick and insta-lovey. If it'd been built up over a longer period of time it would have been irresistible. But everything else I loved. I couldn't put them down! I requested this one on a nostalgia kick as the little dude's favourite books when he was really little were by Julia Donaldson. 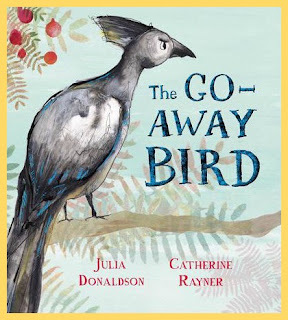 I was so curious about this one and read it as soon as I was approved and it was absolutely wonderful. I'm not much of a DC fan but was curious about this one and I'm glad I started watching for it's pretty good so far! I have no plans beyond my final blog tour for a long time! Woo! I've seen everyone rave about The Greatest Showman but I just don't get excited by the thought of it! Maybe someday I'll get round to it! I do need to get back into watching films though. I never watched the Musketeers when it was on. I do hate it when a series I'm enjoying is just cancelled without warning and leaves me hanging ie TerraNova! We had a dusting but that was it. I am glad it wasn't a lot though. I kind of hate snow. Sounds like a great party you went to. Hope you have a great week! The party was awesome. Such a lovely night. Glad you got your reading Mojo back. I hate when that happens. The Ruby Red has gorgeous covers sorry it didn't translate well. I recently read a book that was set in victorian time, I usually don't have an issue but this had such weird wording like I couldn't follow what they were talking about. Glad you got some real good reads. You might be interested in this, Nicci. I had some Uber clients from the UK with very posh accents and they shared with me their endeavor to buy out some businesses in Minneapolis. The black-tie fundraiser sounds fun. Enjoy your books this week, The Ruby Red Trilogy looks good too. We haven't had full on snow days here yet, just enough snow to annoy us and freezing temps. Sounds like fun night, and child-free! We all need that sometimes. The birthday party sounds like fun! 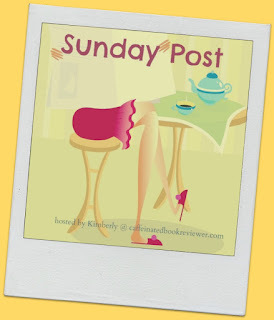 Enjoy your books and your week, and thanks for visiting my blog. Sounds like you had a fun (adult) evening out! I read one book :-( I fear with all my packing and moving that will be the norm for a few months. I don't often get adult (aka child free) nights out! Getting some kid free time out is always fun. Glad to hear you had a good time and got your reading mojo back. Aw, you were robbed of a snow day. We didn't get any snow, and I'm a little sad about it. Since you wanted snow, I'm glad you had some. I didn't get any, but I'm happy about that :) Brooklynaire looks really good. I hope you have a great week! I was so happy with the snow! 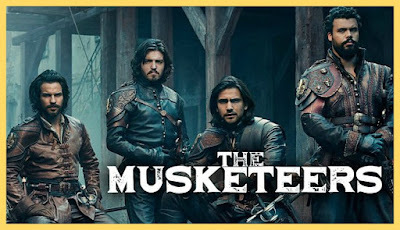 I'm in the middle of The Three Musketeers and it's a bit of a slog (I read it on my e-reader when I can't sleep at night). The series looks like more fun! Seriously, Brooklynaire went on sale right after I bought. I hate that! Though, I am excited to read it. That sounds like a fun party. I’m glad you got to see snow! We currently have way too much of it. Enjoy your new books! Yay for getting some snow, but sorry it didn't lead to a snow day. 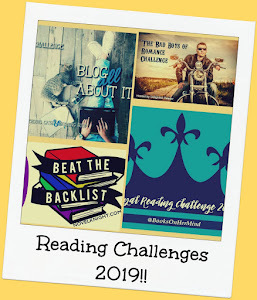 That's great you're getting your reading mojo back though! I'm so glad to be reading again! I am glad you got some snow! I can see it from a distance on the mountains, but mostly we've been getting rain. Which is fine by me, since I am not a fan of snow. :-) The fundraiser dinner sounded like fun. I am glad you had a good time! The Ruby Red Trilogy does look like a lot of fun. I love it when I am enjoying a series so much it turns into a binge. I'm not familiar with The Musketeers or The Titans. From those posters, I wish I did know more about them! My daughter will be auditioning for her dance studio's production of The Greatest Showman in another two weeks. She's super excited. We'll be hearing the music for the next few months, I am sure. I hope you have a wonderful week, Nicci! 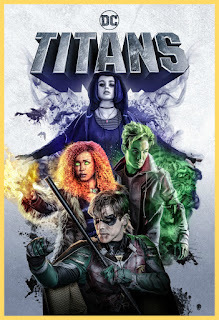 I didn't even know there was a Titans series but I'll have to check it out! Titans was so much fun! Hurray for a little snow! And your friend's party sounds like fun. The Ruby Red trilogy has always looked interesting, but I still haven't gotten around to reading it. Have a great week! A little snow is better than no snow I guess. We get to much of it and I just don't want to see it anymore. My kids were off for three days with the snow and below zero temps - Ugghh. Sounds like you had a great time at the dinner. That is always fun. Have a great week! It'd been a while since I'd done it too! It was nice. I have a few friends that LOVE Brooklynaire. I have bittersweet on my kindle and need to read ASAP. Yay that you finally got some snow. I'm not a big fan of it, unless it happens on a weekend so I can just enjoy it without having to go out and drive in it. The blacktie fundraiser party sounds like fun. I love getting all dressed for events like that. You had a good week! It's always wonderful to get together with friends, and the black tie fundraiser sounds like a great evening. 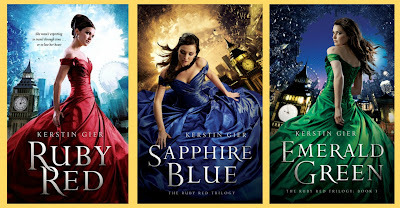 And the Ruby Red trilogy has lovely covers. I'm glad you enjoyed reading them. Have a great week! Hooray for a fancy night out! Hopefully the guys managed to enjoy themselves, too. :) I’ve had the Ruby Red trilogy lingering on my shelves for so long and I still can’t decide if I want to finally read them or just face facts that it’s never going to happen. Haha. Just seeing the cover of Bittersweet makes me want to go back and visit with the characters I love from that series. Ooh! I haven't seen the Red Ruby series mentioned in a while. The language being formal and instalove kind of puts me off but sometimes it works for me if the book is good. 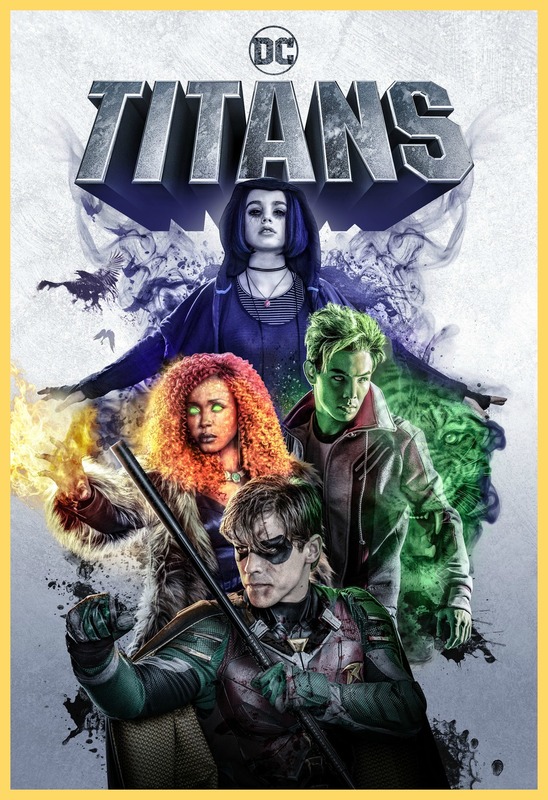 I'm surprised anyone is watching Titans... I know a lot of people were complaining about it and I can understand why. The characters look off. But I'm glad you are liking it. I'll have to check back to see what you think once you finish the season. I really liked Titans. I haven't seen any of the commentary on it but I thought the characters were great and I enjoyed the story.